Our favourite movie scores of 2016. Ben Wheatley's much anticipated adaptation of JG Ballard's cult novel may have been one of 2016's biggest disappointment, but Clint Mansell's score delivered in spades. Nicolas Winding Refn's ongoing collaboration with former Red Hot Chili Peppers drummer Cliff Martinez continues to prove a fruitful one. The Neon Demon's score is a big contributing factor to its effectiveness in immersing you in its world. For his directorial debut, actor Brady Corbet enlisted veteran crooner turned avant garde composer Scott Walker, who delivered one of the year's most bombastic and unforgettable scores. Pedro Almodovar's long-time collaborator Alberto Iglesias laid down a melancholy score for the director's latest melodrama. One of the feel good movies of 2016 had an equally upbeat soundtrack by New Zealand outfit Moniker. Ira Sachs' Little Men was a movie of small tragedies, featuring a tender and touching score by Dickon Hinchliffe. One of the surprises of 2016 was just how good Toho's reboot of their most famous franchise turned out. The film's action was driven by a propulsive score by Shiro Sagusi. 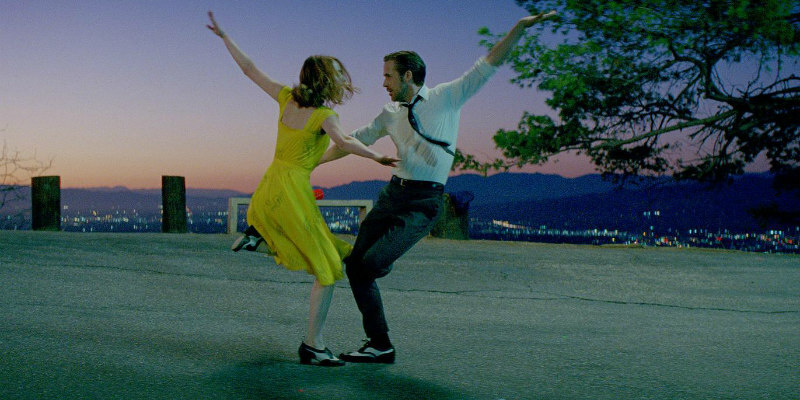 Damien Chazelle's love letter to the musical genre is pretty much nailed on to land a Best Picture Oscar, and it owes much of its success to Justin Hurwitz's compositions. Pablo Larrain's unconventional biopic featured one of the year's standout scores, courtesy of Under the Skin composer Mica Levi.